David Curry, Principal Support Analyst at Abila, posted the below information to the Abila Fundraising Online Forum. It’s helpful information that we wanted to share with our readers. We are reposting with his permission. Contact your merchant and let them know your organization is conducting a Hurricane Harvey disaster relief campaign and [that you] expect a higher transaction rate than usual. Your merchant most likely has fraud prevention measures in place to limit excessive credit card charge runs. So, if [the] system 'sees' that your organization is transacting at a higher rate than normal, the system may inadvertently suspend all transaction, without notification to your organization, to all your forms, impacting your fundraising efforts. Typically, the merchant will contact you if fraud is suspected by an automated response of some kind or by phone; however, response rates may vary by merchant. So, the best practice would be to contact your merchant ahead of time to let them know about your hurricane relief campaign to mitigate transaction processing issues. Fraud activity sometimes increases during a crisis. You can lessen your exposure to fraud by enabling CVV on your form. [For Abila Fundraising OnlineTM (AFO), this can be found] in the AFO Control Panel. Also, consider enabling AVS [Address Verification System] on the merchant side – you may need to check with your merchant to determine how to enable AVS and discuss which AVS security level is right for your organization. 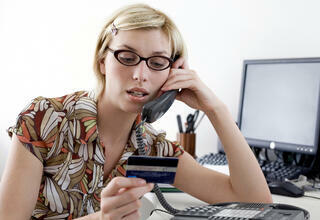 Monitor Credit Card Declines by creating a credit card decline report. Serve as a contact info [list] so that you can contact donors whose credit card is declined and encourage them to try donating again should a transaction interruption occur. One note about refunding transactions [specific to AFO]. We know that from time to time there can be any variety of reasons why a donation must be refunded. You can refund transactions within Fundraising Online the next day should such a situation arise. If you need to refund the transaction on the same day you will need to contact your merchant to process that transaction. Once the transaction is refunded through the merchant you can still refund the transaction in Fundraising Online as refunded outside the system and remove the transaction from reporting. If you have any questions or concerns please contact Abila Customer Support by logging a web case or by calling 800-945-3278." NOTE: You will need a current Abila Maintenance and Support (M&S) plan, or active subscription license, as well as login access to the Knowledgebase to download the articles referenced in this post. If you are not yet registered, you can click the “support chat” option from the main screen and request login access. You will need to know your Abila customer number. Copyright © 2017 Abila, Inc. All Rights Reserved. Abila Fundraising Online™ (Any other products they represent) is a trademarks and registered trademark of Abila, Inc. in the United States and other countries. All other product names mentioned herein are the trademarks of their respective owners.